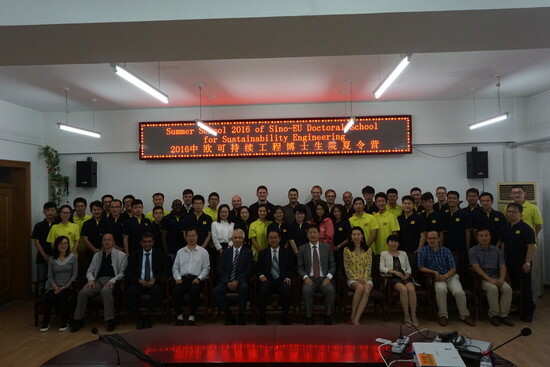 Beginning of September the 3rd Sino-EU Doctoral School for Sustainable Engineering (SESE) took place in Harbin (China). Seven PhD-students from KIT went to the Harbin Institute of Technology to present the current state of the art and current research of their PhD-thesis. Within three days different talks were given to the topics of “sustainable energy”, “sustainable transportation”, and “advanced manufacturing / i4.0”, such as the Battery system management of the EV vehicles, the low CO2 emissions of Boiler and IC engine combustions, the green buildings and transportations. Thanks to the Harbin Institute of Technology!